Whether you’re celebrating an elopement between just the two of you or hosting a small celebration of 50 people, intimate weddings are in a class of their own. Sharing such a special moment with only your nearest and dearest is a meaningful way to tie the knot, made better only by the classic and timeless design styles that intimate weddings have embraced over the years. Regardless of how many people are at your wedding, you certainly still want it to be a special and beautiful celebration of your love. Here are some ideas to inspire your cozy celebration! With elopements and intimate weddings especially, the ceremony is the defining moment of a wedding. When your guest list is so short, you can often accommodate your guests (if you have any!) in unique and offbeat places. Wherever you decide, look for ways to adorn the altar in a way that fits your ‘theme,’ whether that’s rustic chic or classic vintage. Don’t have a theme? 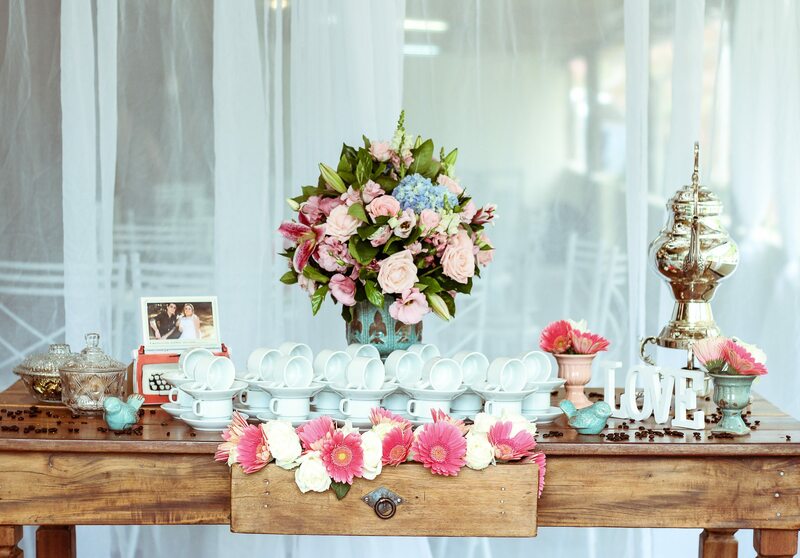 No problem – you can still dress up your ceremony altar with romantic votive candles and fun details that speak to the relationship between you and your partner. Small weddings are the perfect time to go all-out on table décor, as you can invest your time and resources into fewer tables. A single head table that seats the couple and their guests creates the perfect atmosphere for a family-style meal, complete with shared drinks and lots of friendly conversation. Complement the warm ambience with flickering candlelight and a lush greenery garland and your night is complete! Even if you are inviting a few close loved ones to celebrate your nuptials, that’s not to say you can’t have a darling sweetheart table. Perfect for elopements as well, a table for two keeps you and your partner close together all night long. Dress the table up with a single floral arrangement (or simply repurpose the bridal bouquet!) paired with a handful of pillar candles to capture the romance. When planning your intimate wedding, remember that the length of your guest list doesn’t impact the beautiful design scheme you’ve always dreamed of. Even if it’s a party for two, don’t hold back from going all out – it is your wedding, of course!